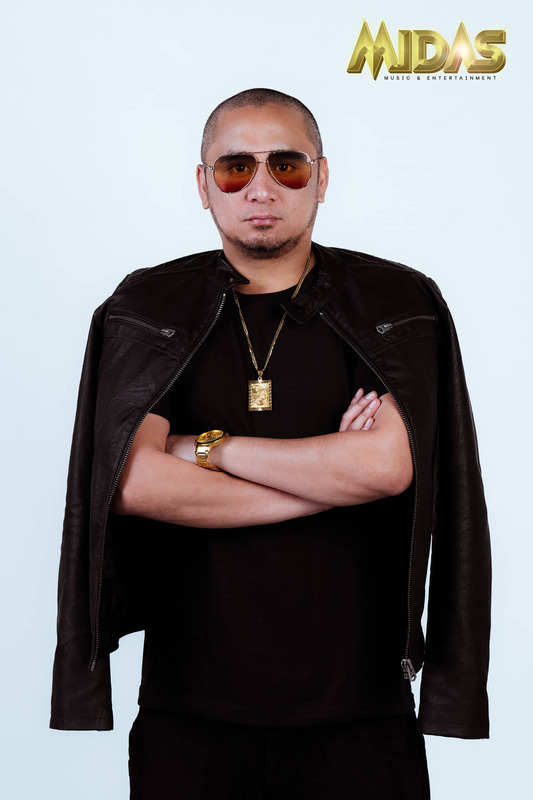 Sabi nga ng haring si Francis M. Napakarami na ng saklaw ng Hiphop ngayon, marami ng naniniwala, maraming nagbabakasakali at sumusuporta sa local hiphop and malaking bagay ang mga social media platforms and channels such as Wish 105 na talagang malaki ang naitulong sa Pinoy hiphop pero isa sa dapat nating pasalamat sa larangang ito ay ang mga walang sawang event organizer, talent managers that put money, effort and time para may maiambag sa kultura. PHS: You created MIDAS? Anong meaning nito? How did you come up with this idea? Nick Hernandez: Well, I’ve been into the hiphop scene since 2006 pa.. So fan tlaga ako ng Filipino hiphop… Started managing Hiphop dancers (Unschooled) nung 2008… Then along the way I met and made friends with almost all the Hiphop artists in the Philippines… Been helping them with their music videos, bar tours, or get them for my events from my Team Strato days til now sa Hydro Manila… So I’ve been dealing with DJs, MCs, Dancers, Rappers, etc dati pa..
Wala ako talent sa pag rarap and pagkanta eh… So dun nako sa next big thing… Manage and make Hiphop STARS… One thing na you are a king.. So yun.. 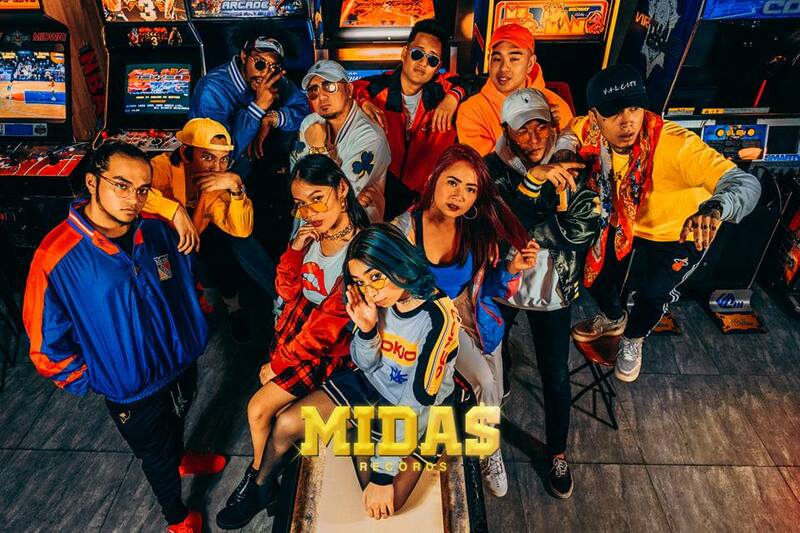 Since I’ve been friends and helping naman na artists since dati pa… Might as well make it formal and official dba.. That’s why I formally created Midas Music & Entertainment last year. 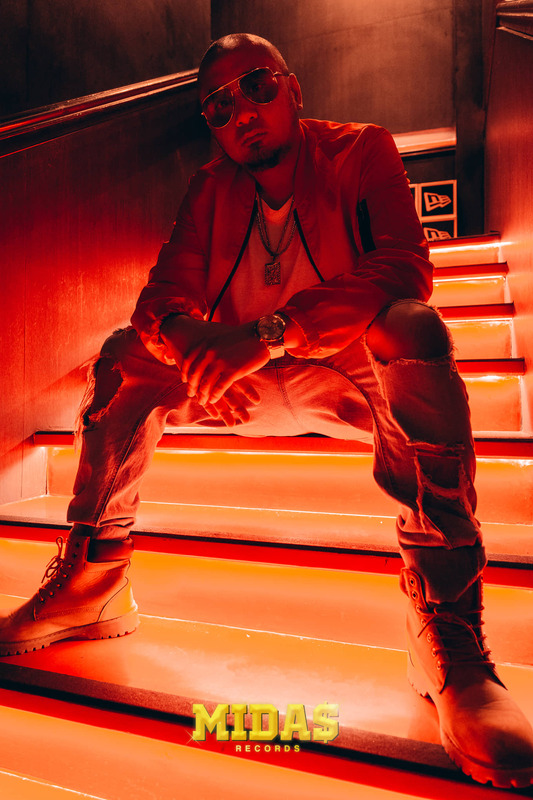 Under it are the 3 departments: Mida$ Records – Singers, Rappers, Producers Midas Nightlife – DJs/MCs Midas Creatives – Videographers, Photographers, Stylists, Choreographers, Graphic Artist. PHS: WOW that’s quite big, kumbaga isang buong production na sya, anong main qualification mo sir of picking a talent? Have you ever pick something wrong before? Or do you stick to your plan and make them stars dahil naniniwala kana sa una palang. 3 factors that I look into whenever I book or get a talent sa events ko or sa talent agency ko. Skills, marketability, attitude dapat lahat yan atleast 7/8 out of 10 each aspect.. 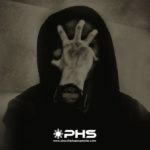 I want positive people lang around my circle… Para positive lng din lahat ng darating..
PHS: Since your a fan of hiphop music, local hiphop, sinong mga influences mo dito? 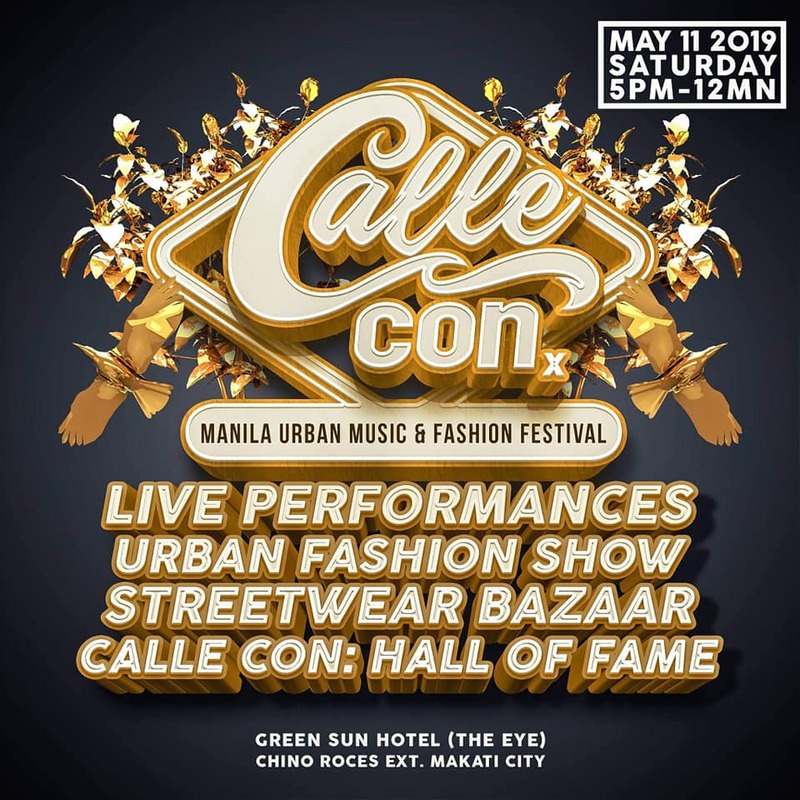 Sinong mga closest to you in our local hiphop community? 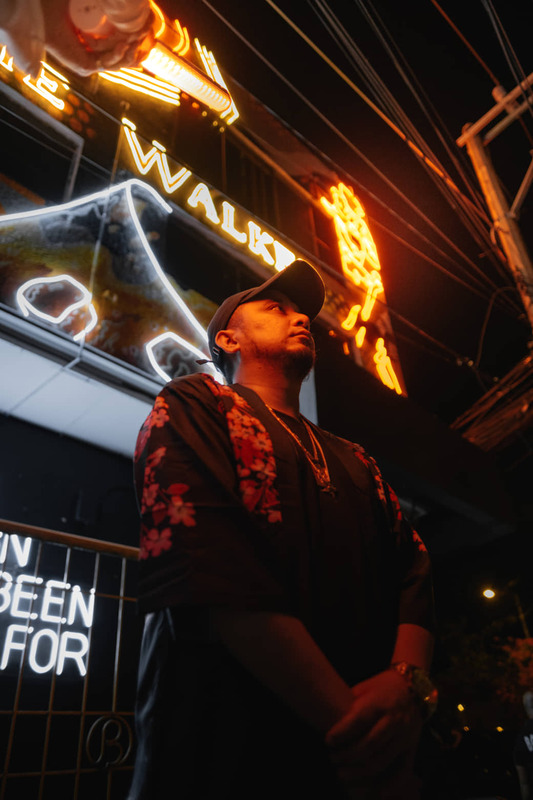 Music – naging fan ako ng OPM Hiphop because of Francis M, Andrew E., Mastaplann, Legit Misfitz, Ghetto Doggs, Sun Valley Crew, Kulay, 7 shots…. My older brother introduced me to that kind of music when I was 8 yo I think.. Then when I got older I became friends with sila B-roc, Nathan J, Mike Swift, KrayzieKyle, Pikaso, Mikekosa,Flipmusic, LDP, BnK, Thyro, Yumi, Pow, Quest, Team Sunday, Tuesday Troops, etc.. Lahat halos sila naging tropa kahit nung promoter pa lng ako sa BGC and QC.. Closest? DZ SVG – we go way back… Since 2007 i think… I consider that guy as still as one of best friends… We dont hang out that much now but we know when we need each other andun kame.. No homo.. Haha.. Introduced me and made me part of “The Community”… 1st Hiphop event ko yun na ginawa as an organizer.. Dami ko natutunan dun.. Until now parang kuya ko pa rin yung mga yun.. Helped me with a lot of stuff sa hiphop and sa events..
PHS: From old school to new school, ano sa tingin mong malaking kaibihan ng music? and what can we expect from Midas in years to come. We got a long way to go but I’m confident that my artists have the talent, marketability and attitude na makabreakthrough sila lahat not only here in the Philippines but also in Asia and around the world. Our main vision is not to compete here but to compete worldwide… WE (not only Midas) but us Filipinos can compete and do better than 88 Rising.. There I said it… Haha KAYA NATIN YUN… MAS MAGALING pa nga tayo dun eh! We speak better english, mas malaki social media presence natin compared to any other country… And WE HAVE THE TALENT to back it up… so why not dba..
Then totoo din yung “It’s not what you know, It’s who you know” Kahit gano ka kagaling if walang naniniwala or tutulong sayo… Wala.. NGANGA… So babalik tayo sa Skills, Marketability, Attitude.. Talent manager, event producer. Isa sa mga tao sa likod ng spotlight pero hindi nagsasawang magtiwala at maniwala sa mga Pinoy talents. To be honest, we need more of them than we need fan turn to artist. Be sure to check out and be a part of Callecon this coming May. Support Local! Support Hip-Hop.